Laureate International Universities is a global network of more than 50 leading institutions of higher education. More than 600,000 students in 24 countries are part of this international, academic community. İstanbul Bilgi University has been a member of Laureate International Universities since 2007. In May 2010, İstanbul Bilgi University, along with five other institutions in the Laureate network, conferred an honorary degree to Nelson Mandela. As honorary chancellor of Laureate International Universities, President Clinton advises Laureate on social responsibility, youth leadership and increasing access to higher education. President Clinton has delivered his message of expanding youth leadership and civic engagement on important social issues at several institutions in the Laureate network. This is his first visit to İstanbul Bilgi University. 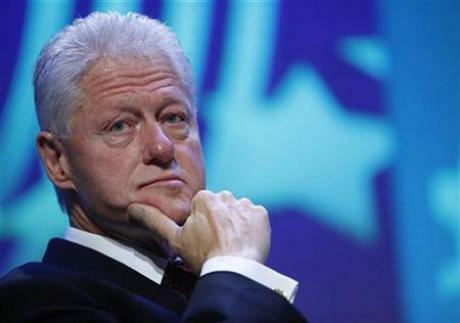 During his administration, President Clinton, the 42nd president of the United States (1993–2001), made the biggest investment in education in more than 30 years. His commitment to improving the quality of education in the United States helped to expand access to early education and made higher education more affordable and accessible. After leaving office, he started the William J. Clinton Foundation to empower people around the world to meet the challenges of global interdependence. Today, the foundation takes action on issues that urgently require solutions and measurable results, including climate change, HIV/AIDS in the developing world and economic development in Africa and Latin America. In 2005, President Clinton established the Clinton Global Initiative (CGI). CGI convenes global leaders to devise and implement innovative solutions to some of the world’s most pressing challenges. Since 2005, CGI annual meetings have brought together more than 125 current and former heads of state, 15 Nobel Peace Prize laureates, hundreds of leading CEOs, heads of foundations, major philanthropists, directors of the most effective nongovernmental organizations and prominent members of the media. These CGI members have made more than 1,900 commitments valued at $63 billion that have already improved the lives of nearly 300 million people in more than 170 countries. Laureate is an active supporter of CGI. In 2008, Laureate Education made a Commitment to Action to award 1,000 scholarships to deserving teachers around the world to help them earn an advanced degree in education, business or information technology. In 2010, Laureate partnered with the International Youth Foundation (IYF) to make a Commitment to Action to fully support the YouthActionNet® Program for Young Social Entrepreneurs. The Laureate/IYF YouthActionNet® Program for Young Social Entrepreneurs will support youth leadership development and skill-building at four Laureate International Universities network institutions, including İstanbul Bilgi University. Laureate Education, Inc. is a trusted global leader in providing access to high quality, innovative institutions of higher education. The Laureate International Universities network of more than 50 accredited campus-based and online universities offers undergraduate and graduate degree programs to 600,000 students around the world. Our students are part of an international, academic community that spans 24 countries throughout North America, Latin America, Europe, Northern Africa, Asia and the Middle East. Laureate International Universities offer more than 130 career-focused, undergraduate, master’s and doctoral degree programs in fields including architecture, art, business, culinary arts, design, education, engineering, health sciences, hospitality, information technology, law and medicine. For more information, visit www.laureate.net.